It would not be possible to have a center focused on operator performance that does not consider the operators themselves. 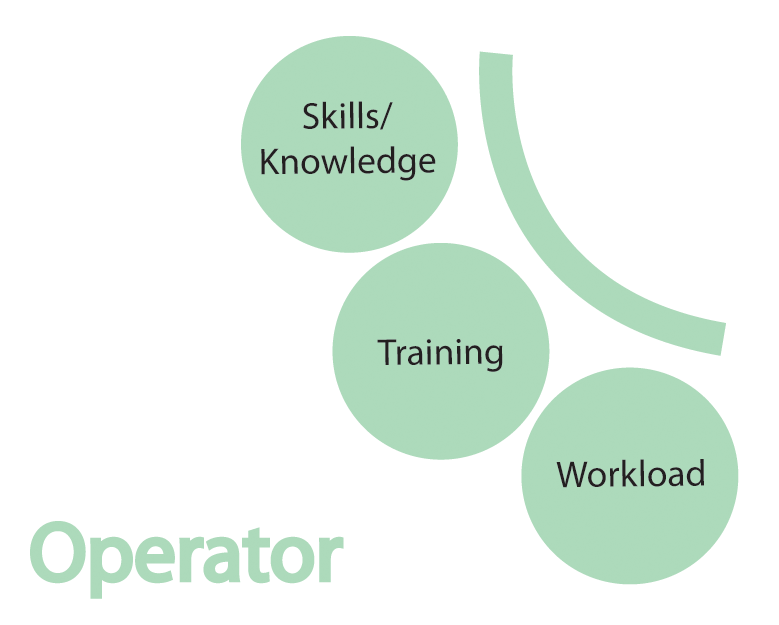 While every organization recognizes the need to have well trained operators, the emphasis has often been on training the process, not necessarily the job and/or skills required for success. This is not uncommon, nor entirely unwarranted, as the human operator is extremely flexible and adaptable. However, without a strong focus on skills and knowledge, training, and operator workload, the best Culture, Interface, and System can still produce substandard performance.